Summer running - it's on! Officially, summer may be another week away, but it feels like we’re in the thick of it this week. Our friends at Fleet Feet West Hartford are ready to help you through it! The sun is out and New England runners want to take advantage of all the sun-kissed runs our short summers have to offer. This excitement can lead many to head out the door without thinking about the affects of the sun. Here are some tips to sun-protected runs to help you enjoy these wonderful summer trots safely. Hats: Providing shade for your face and helping to protect your scalp for dangerous radiant heat, hats can also help wick away sweat that may potentially land in your eyes. However, make sure you wear a hat that is full mesh so that air can pass through and look for hats with a dark colored under-bill since they reduce glare and won't make your eyes squint so much. Consider mimicking Olympic marathoners and stuff some ice inside your hat before you put it on (or mid-run) to help keep your cool. Sunglasses: As we prepare for summer runs, we think about protecting our skin but often overlook the need for eye protection. UV rays can be harmful to our eyes and those UV rays are most powerful between 8am to 10am and 2pm to 4pm. Sunny conditions also cause us to squint which wastes valuable energy and can lead to a post-run headache. Lots of reason to don those shades! Shirts: For men, it’s all too common to step out, notice how hot it is and automatically take off your shirt for a run. You could really be doing some harm - skin cancer is the most common form of cancer in the US. A light moisture-wicking shirt can help protect bodies from the detrimental effects of prolonged sun exposure. Most performance running apparel has 30-50 UPF sun protection yet still feels light and airy on. Hydration: Did you know that 75% of Americans are chronically dehydrated? Hydration is one of the most important elements of successful running this time of year. Don't just hydrate with water, be sure to take in some electrolytes as they are essential to fluid and nutrient absorption. 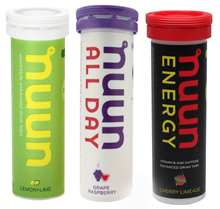 Excellent options include Nuun, UCAN Hydrate, Gu Roctane Energy Drink, Tailwind and Scratch. 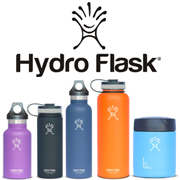 We love Hydraflask stainless steel insulated bottles to keep iced beverages cold for up to 24 hours (even when stored in a hot car)! Run early or later in the day: For early birds, first thing in the morning is one of the best times to run. Before the sun is at its highest peak, temperatures are cooler and typically less humid. But, for those who can’t make an early morning, waiting until the sun sets and things cool off a bit is best in weeks like this. Enjoying the sun also means protecting yourself from it. With all the health benefits associated with running, we don’t want our runs detrimentally affecting our health. No doubt, the running community is passionate. We push ourselves to reach goals, we feel elation and frustration along the path to attaining those goals. And, we are emotional. Sometimes that emotion brings out the very best in us, and other times, not so much. It’s been a tough few days following an amazing, positive and great race for the HMF community on Sunday morning. We were made aware of an incident of banditing the race and quickly addressed the severity of that act – the intent was to be very clear that we do not accept, condone or allow the behavior. We chose to make this situation a reminder of the severity of the issue, not to pinpoint any one person or organization. We believe strongly that we can all always do better, and we have certainly made our own mistakes that we learn and grow from. It’s important that we hear from you, the runners at the heart of this community. We value your feedback and we listen to your conversations to help us do better. It is with this principle that we allowed open conversation about the incident on our pages. We felt confident that as adults that have a common bond of being runners, differing opinions could be shared, points made, concerns flagged, and questions answered. I want to make it clear right now, we do not support any communication intended to personally damage or insult each other. The court of public opinion weighed particularly heavy in this week’s conversation, and while we encourage continued active voices, we have one simple message to reiterate: Be nice. It’s ok not to agree, it’s ok to show disappointment, it’s even ok to be angry. It is just not ok to be mean-spirited. We lift each other up in so many ways throughout training, racing and celebrating our goals, let’s please remember to be nice when we hit those emotional moments that can so easily but unnecessarily escalate.